Last week, I was part of the speaking team at the D6 Conference in Greensboro. D6 Conference is one of the premier family ministry conferences in the country. It is ran with excellence and it was a privilege to be part of the team. I taught 2 breakout sessions and shared a keynote talk as well. The first breakout was about "10 Keys to Seeing Kids Follow Jesus for Life." The second breakout was about "Multi-Site Family Ministry." The keynote was about "Helping Parents Hit a HOMErun." 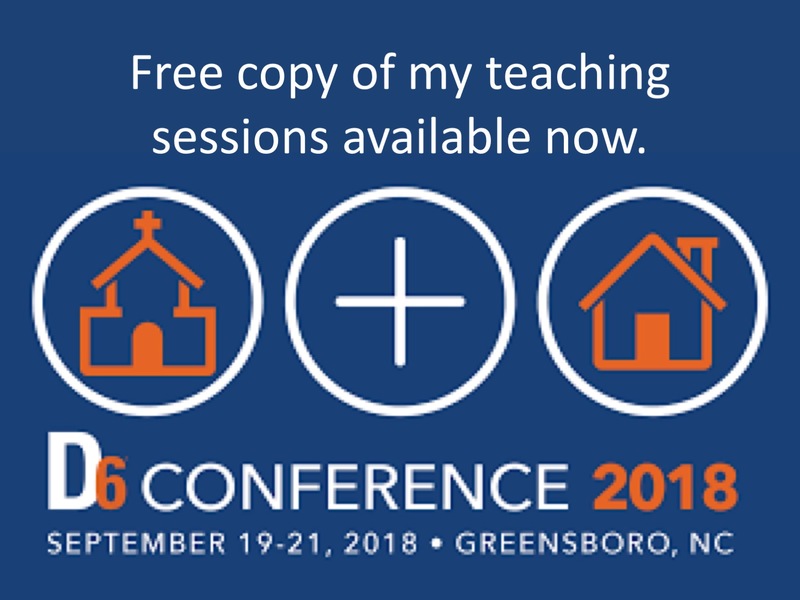 If you'd like a copy of the teaching notes, you can download them for free at this link. The conference will be held next year in Orlando. Come join us. You will be challenged, encouraged and equipped. More info about next year at this link.